In a few days, the new PBA season will finally be upon us! A few weeks after Ginebra won a title for the first time since the three-conference format was reinstated, we will be ushering in a new season where the best and brightest players this side of Asia will take the stage again and battle for the country’s ultimate basketball titles. 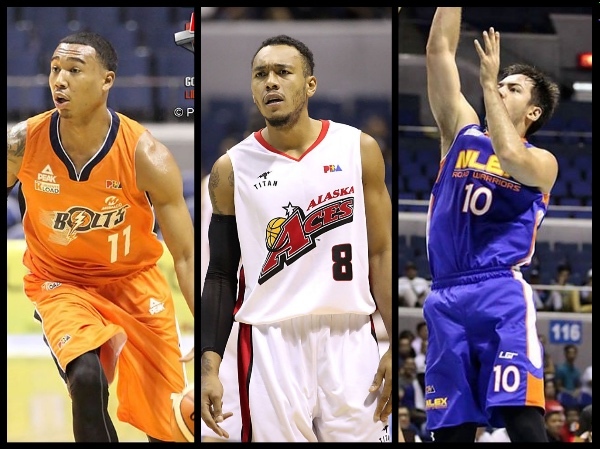 First, though, let’s look at some exciting players to watch heading into the 2016-2017 PBA Philippine Cup. In the previous post, I wrote about the Top 5 Shooting Guards, but now let’s look at the Top 5 Small Forwards heading into the 2016-2017 season. 5. JC Intal (PHX) - 11.8ppg, 5.1rpg, 1.7apg, 1.3 triples per game. - 2014-2015 was Intal’s best pro season, and he followed it up with another solid showing in 2015-2016. Intal continued to be one of Phoenix’s best all-around players, and he should continue being an important part of their plans this coming season. The Ateneo alum remains one of the most versatile and athletic players in the PBA, and he gives the Fuel Masters a lot of depth at the wings. 4. Chris Newsome (MER) - 12.1ppg, 4.7rpg, 3.9apg, 1.0spg, 48.1 FG%. - The 2016 PBA Rookie of the Year will have a huge target on his back when the 2016-2017 season begins, but Newsome should still be able to put up solid numbers for the Bolts, who are looking to build on their impressive Govs’ Cup showing. Newsome is so athletic and gritty that he can impact a ballgame in so many ways. Perhaps the only thing he really needs to work on is his three-point shooting. 3. Willy Wilson (PHX) - 11.6ppg, 8.9rpg, 2.5apg, 50.7 FG%. - 2015-2016 was Wilson’s best season ever in the PBA. For the first time in his career, Wilson averaged double-digit scoring and he nearly put up double-figure rebounding, too. Together with Intal, Wilson has formed a solid forward tandem for the Fuel Masters, and the former Green Archer should continue providing a lot of muscle for Phoenix as we open up the Philippine Cup soon. 2. Calvin Abueva (ALA) - 15.4ppg, 8.5rpg, 2.5apg, 1.2spg, 33.3 3pt%, 43.6 FG%. - The Beast upped his scoring, assists, steals, and three-point shooting last season, and all that augurs well for the Alaska Aces in 2016-2017. It’s a no-brainer that Abueva should regularly figure in the different BPC races throughout the season, and he should be in the MVP conversation, too. At just 28 years old, the Pampanga native is also just about to hit his prime, and that’s a scary prospect for the rest of the league. 1. Sean Anthony (NLX) - 15.0ppg, 9.2rpg, 2.4apg, 46.5 FG%. - The 6’4 Fil-Canadian flew a bit under the radar last season, but, at least based on his numbers, Anthony was the best swingman in the PBA. He averaged a near-double-double for NLEX, and just increased his production in dramatic fashion. He didn’t really add anything new to his game, but what he was already doing, he did even better. I suspect we may have seen his ceiling, though, so don’t hold out on expecting to see another seismic jump in his game in the new season. 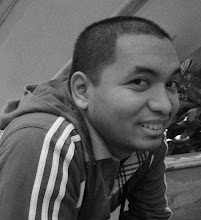 KG Cañaleta (MAH) - 11.7ppg, 3.8rpg, 1.9 triples per game, 35.4 3pt%. Jared Dillinger (MER) - 10.7ppg, 3.2rpg, 1.5apg, 1.5 triples per game, 33.2 3pt%. Allein Maliksi (STA) - 9.9ppg, 2.7rpg, 1.7 triples per game, 44.4 3pt%, 44.1 FG%.